No matter how rich the get paid to market is today, many people prefer earning fast and easy cash online. Maybe that is why Internet business newbies prefer fast and quick jobs in order to get some fast cash. GPT websites and free file hosting projects, which pay you for sharing media files, such as images and .zip archives win over Google Adsense, because they pay you in the matter of days, not months. What I am trying to tell is that new web money-makers pay more attention to less complicated online make money opportunities. If we speak of free file hosting websites, here you don’t need to work hard, in order to make money from home. Get paid to upload websites like ShareCash.org pay you up to 0.6$ for every download of your file and I think that generating 200-500 file downloads is as easy as registering an account with them. (You can read more about getting paid for uploads at ShareCash.org by visiting this link). As I can see the concept of making money with filesharing websites is getting more and more popular, maybe that is why new free file hosting companies are being launched. Not that long ago I wrote about FreakShare.net. Many blog readers liked my FreakShare review. The only reason I can think of is that file promoters are looking for more websites to upload their files too. And in such a niche, several download mirrors can help you earn more money with your media. So lets speak about brand new get paid to upload websites – not that long ago I have stumbled upon a site called FileMad.com. I see that many Internet money-makers are already working with this file hosting company, but I wonder whether it is just another scam or a legit get paid to upload website. FileMad.com is a brand new get paid to share files website, which allows you to host your images and files (from 20mb to 1000mb) with a chance of earning money by sharing your file download links. I don’t see anything suspicious about this Internet project, except for the part that you will earn 60 cents for every file download. I don’t know how the whole earning system works, but the number of people, who actually got paid by FileMad.com has surprised me and I wonder whether this website is working or not. Even though the price per download varies between 0.2$ and 0.6$ depending on the country of the downloader (a list of allowed countries is located below), even such amounts sound too good to be true, what do you think? The minimum payout at this get paid to share website is set at 5$ and all the payments are processed by PayPal and MoneyBookers. So this means that you need to get 15-30 downloads to make enough money to request a cashout at FileMad.com. Well, I will try to find some time to put this website to a test. I would be really thankful to you, if you help me testing this website by becoming my referral. 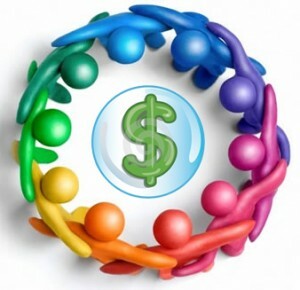 I do like earning money by sharing my download links, in just several weeks I have set up myself an automated income system based on sharing my files at Letitbit.net and Uploading.com. Now I am just checking my daily stats and see that all my work was not in vain. The daily income of 3-5$ is pretty good for such amount of work, and the best thing about it is that the income is growing and growing. If you are new to making money by uploading, you can take a look at my guide “Earning Cash Over the Internet with Get Paid To Upload Websites Explained“. Thanks for reading IncomeBooster.org and don’t forget to subscribe to my blog by using the form below in order to receive the latest work from home news to your email inbox. Be sure to check out Hostizzle.com, with more download bandwidth than Filemad! Ok, the review is on its way. Hold on for updates.